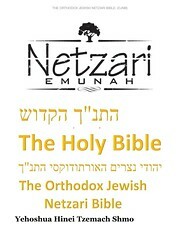 For sample verses from the Orthodox Jewish Netzari Bible, click here. 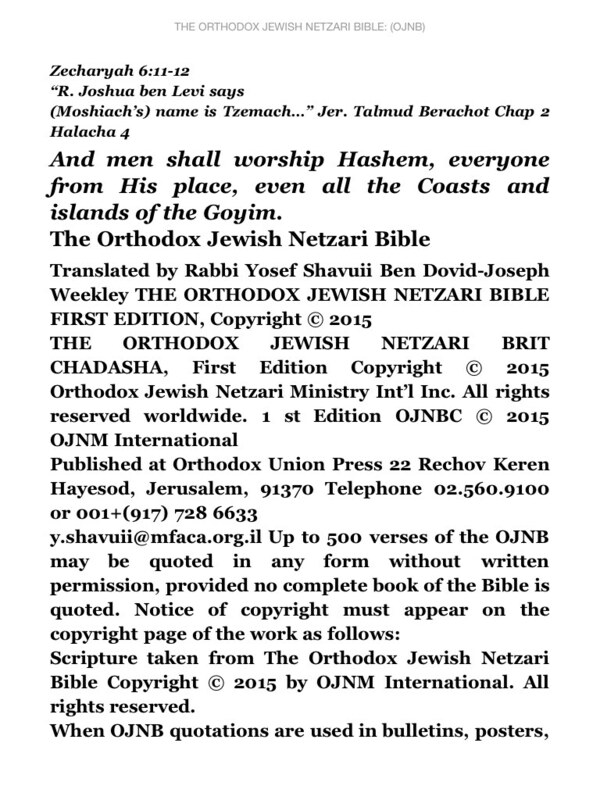 Yehoshua Hinei Tzemach Shmo Zecharyah 6:11-12 "R. Joshua ben Levi says (Moshiach's) name is Tzemach…" Jer. 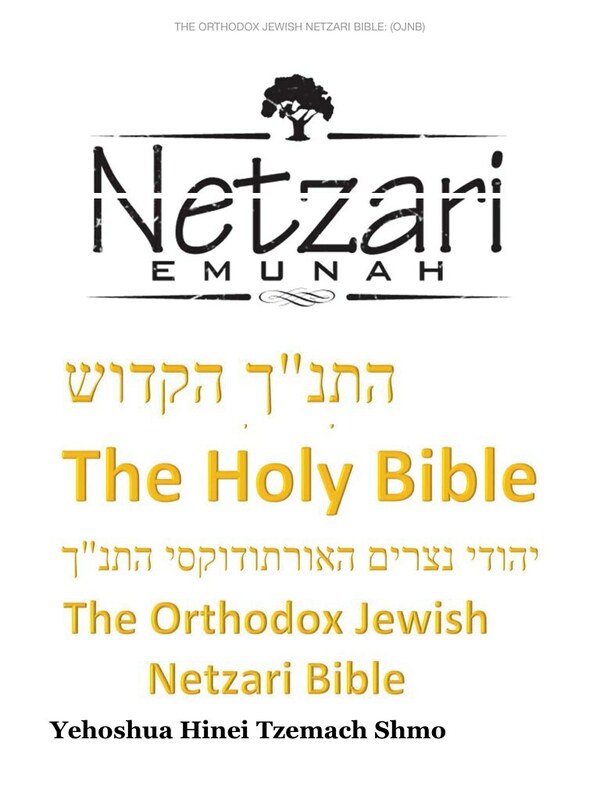 Talmud Berachot Chap 2 Halacha 4 / And men shall worship Hashem, everyone from His place, even all the Coasts and islands of the Goyim. Comments: This appears to be for the Amazon Kindle only. According to the translator, two printed versions, soft– and hardcover, will be available around summer 2015.